A friend sent me this photo of his wooden canoe after a tough day on the river. 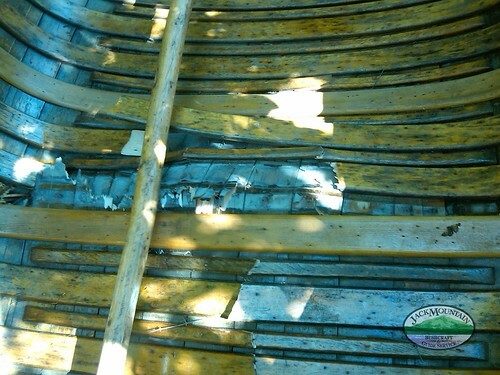 You’re looking at broken ribs, half-ribs and planks inside a 20′ wooden canoe. The good news is that everything on a wooden boat can be fixed. That’s one area where these old boats are far superior to their modern plastic relatives. A birch canoe is even more so, because the materials to repair it are all in the woods. A tough day, no doubt, but not the end of the boat’s life.